News Bits: Stan Lee, Toy Story, Dark Knight Rises, Avengers, Expendables 2, Hunger Games, and Lots More! A child doesn't do something like that for no good reason, does she? Heather: I want Golden Wheats! This Is a gripping story that will have you glued to the screen. 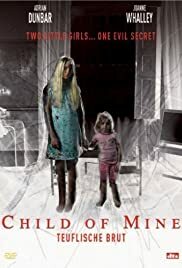 A couple decide to adopt there family through a illegal agency , after trying desperately for children of there own for a long time. But they have bitten off more than can chew when they discover the young children's mother was murdered The eldest of the children witnessed the whole thing and is seriously disturbed by whats happened, The adopted mum actually fears her own life, but this new mother is not about to give up on her without trying to discover the mystery behind her mothers death in hope this will help the young girl I highly recommend this film you will be kept guessing until the end ,And the end has a twist in its tale. Gripping from beginning to end.